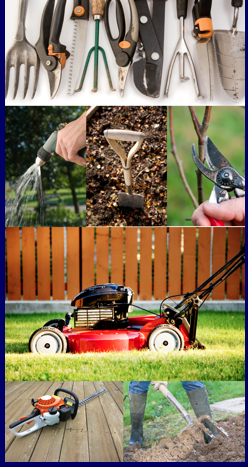 Fallen leaves on grass, borders, driveways and paths can become a hazard when wet and look unsightly and become a total nightmare to rake up. 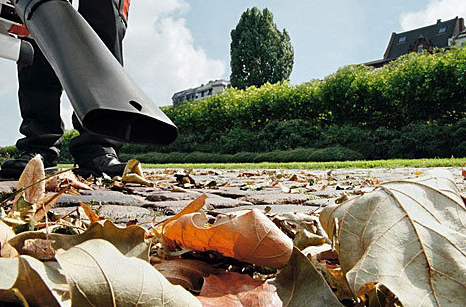 With our powerful petrol powered leaf blower/vacuum the job can be made easy. 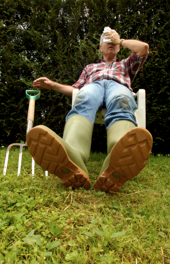 We are happy to take your garden waste away but there will be a charge for doing this. 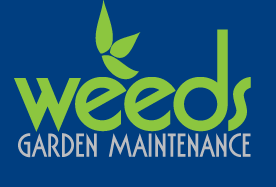 Is your patio or sitting area looking a bit drab? Are the slabs or tiles slippery and dangerous to walk on when they get wet? 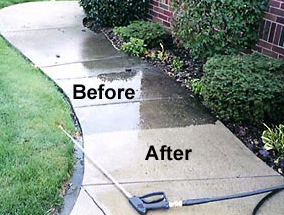 Does your driveway or pathway need a good clean? If the answer to any of these is yes - then give us a call. We have the latest power washers ready to get to work. As the size of the jobs we undertake varies considerably each job is priced individually.